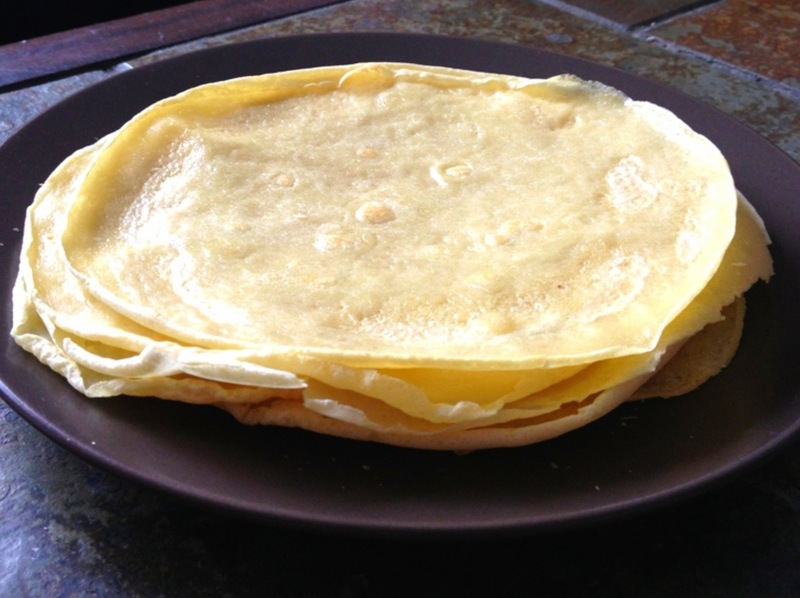 I’m not sure what put the idea in my head that I wanted crêpes, but I’m so glad because these ones from Stupid Easy Paleo were stupid easy, and behaved and tasted so similarly to regular crêpes! I’m totally going to make them all the time. Brunch anyone?? Let the crêpe cook until it starts to come off the sides of the pan, and you can actually just pick it up and flip it with your fingers. A minute on the other side and then you’re done! 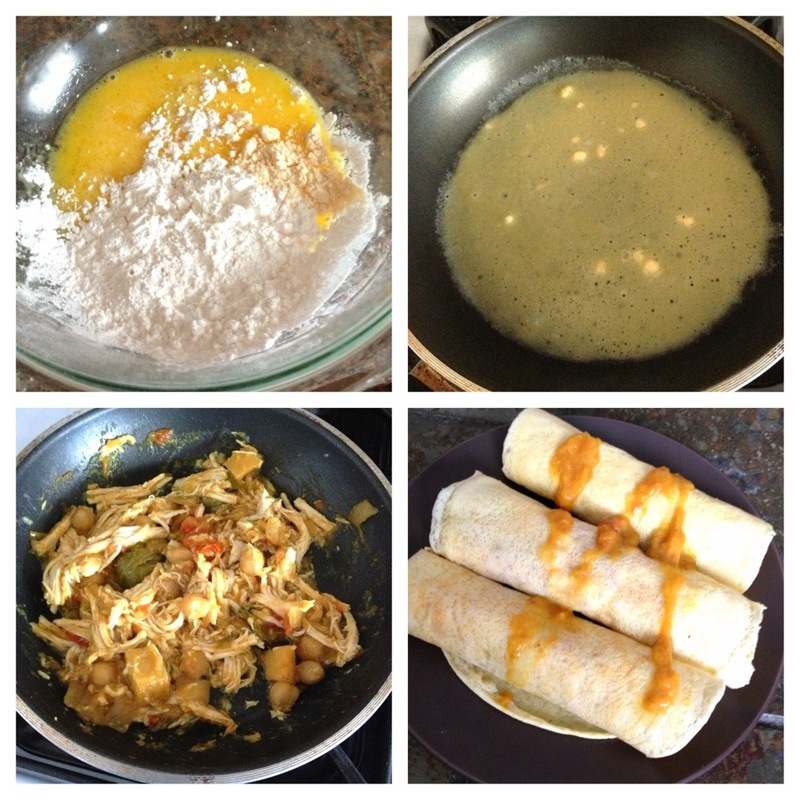 I filled mine with a combination of shredded chicken and harvest curry – yeah fancy leftovers! !